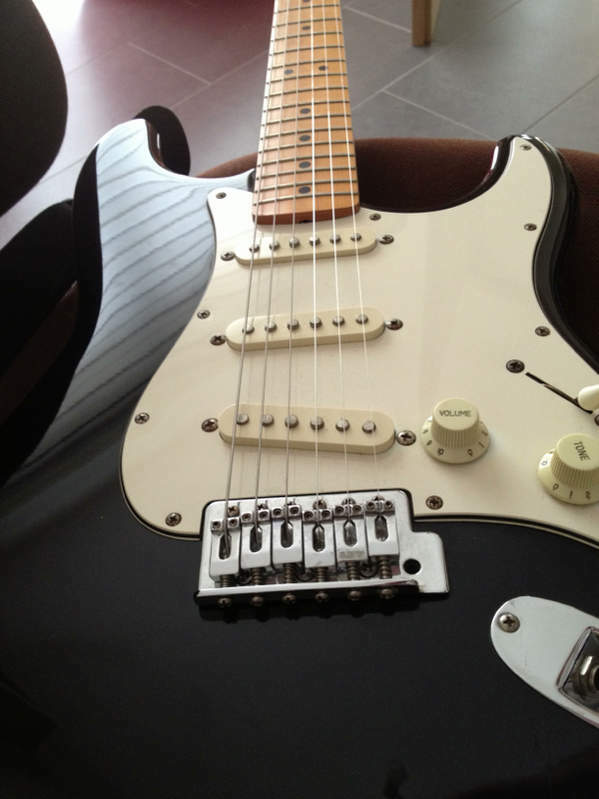 The intention is to cover in detail all of the SSS Stratocasters Made in Mexico. They were first produced at the beginning of the 1990s and are still being produced, at the time of writing Donald Trump hasn't taken any drastic anti Mexican action, there are a huge number of varieties and models. 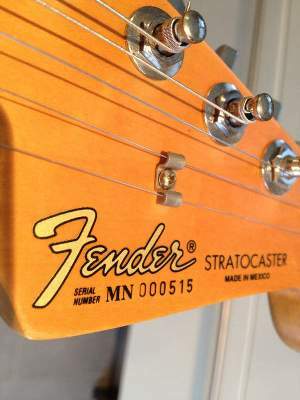 Logo Modern thick silver changed to Black 70s style in 2009 around this time the serial number was moved to the back of the headstock. In the 90s the neck profile was described as shallow U, the first reference to it being modern C is in 2003, whether this represents a drastic change or just a terminology change is hard to tell without getting hold of two guitars of the different periods and comparing. 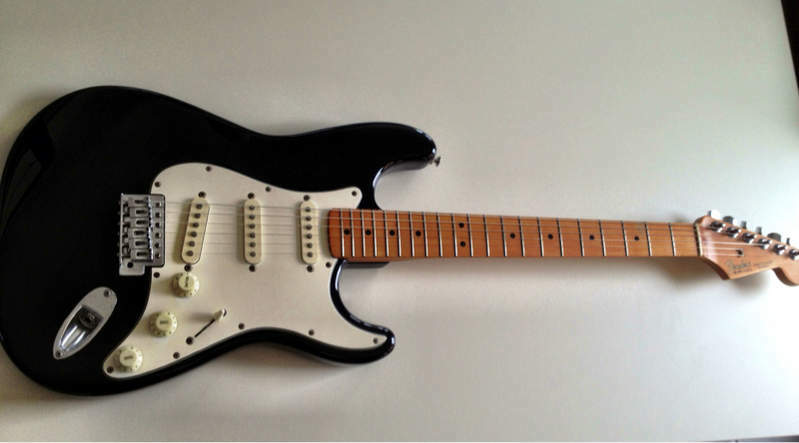 Strangely the body of the early left handed models is made of Basswood changed to Poplar in either 1997 or 1998. Maybe the basswood bodies for these were imported from Asia. This is a special edition of 200 units made in 2004. 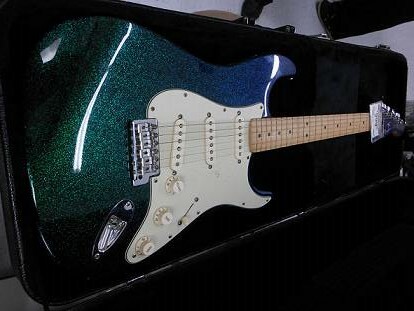 It has a body and matching headstock in a sparkle which flips from green to blue depending on light, angle and such. Specs of the Flip Flop are similar to the Standard other then the finish, the Mint Green 3 ply pickguard and the Fretboard is Maple only. 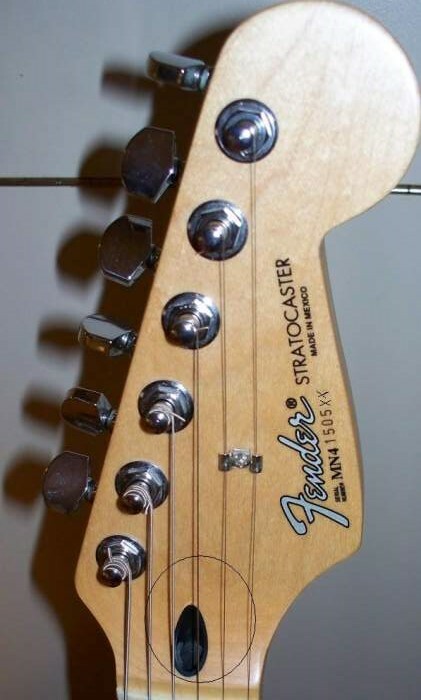 In 2015 the artist David Lozeau designed 4 stratocasters for Fender which were released as FSRs not sure of the numbers but a few of these have turned up. He also designed a further one released in a limited edition of 100. There were also 2 custom shop guitars but that's not for here.These all had the same specs as a MIM standard. As at February 2017 the SSS Standard is available in the UK in Arctic White, Black, Brown Sunburst, Candy Apple Red or Lake Placid Blue all with Maple or Rosewood. Retailing at around £550 or so. The Plus top version being around £650 is available in Aged Cherry Burst with Maple or Tobacco Sunburst with Rosewood. 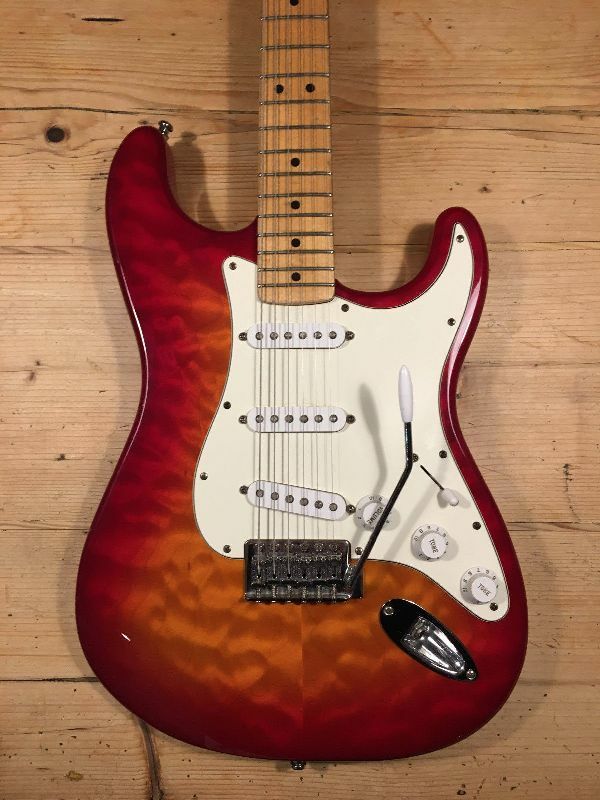 In 2018 the standard strat is still available but in Sunburst only with either a Maple or a Pau Ferro Board. One or two very early models have turned up with very odd specs. It seems that there were a few made in those days with very random parts. 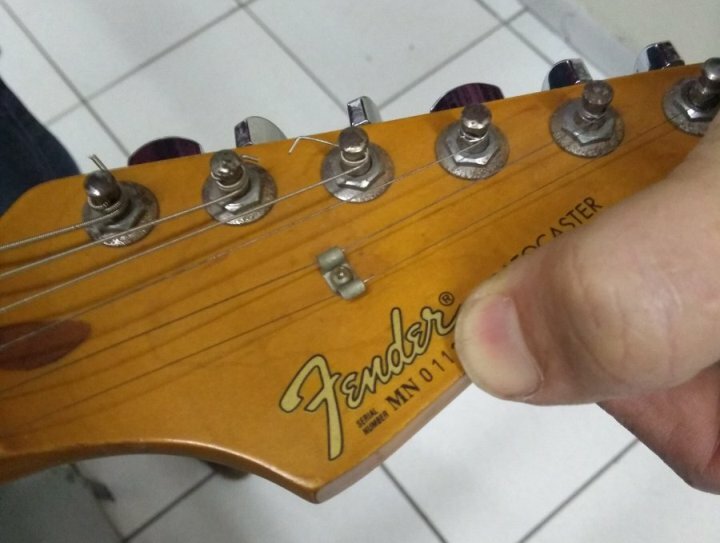 Here's a quote from a post on strat talk from "harrysmo"
I contacted someone at Fender Customer Support by email with questions about 1990 MIM's. 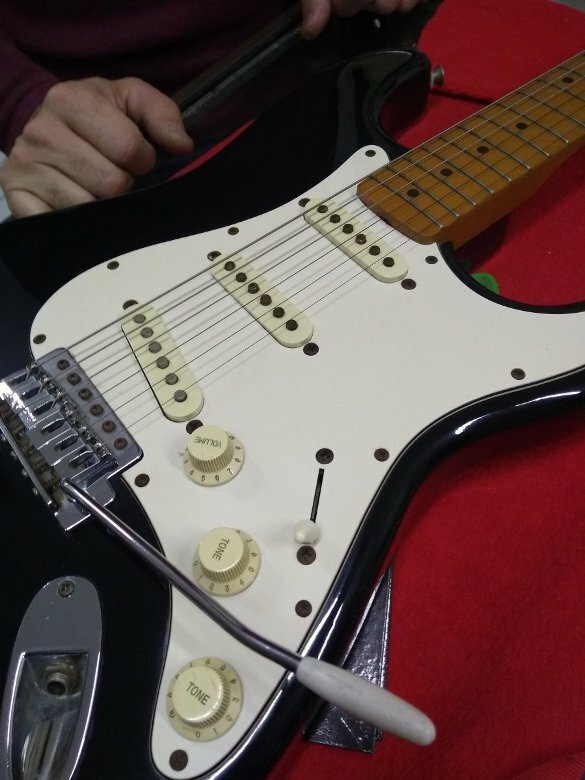 They responded with telling me that 1990 was the year they first started making strats in Ensenada. There were chronic parts shortages while ramping up production. They would get parts from wherever they could to build guitars. They even bought parts from non-Fender suppliers to meet production goals. 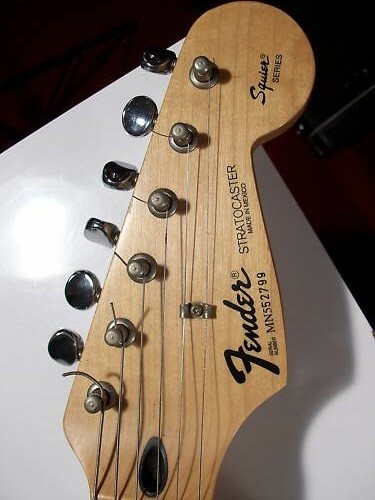 The Schaller-style tuners were probably bought from an aftermarket supplier, hence no "Fender" designation. 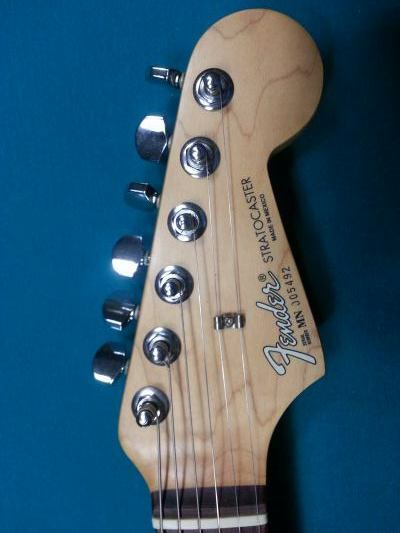 The bodies were acquired from U.S. Fender and Squier. 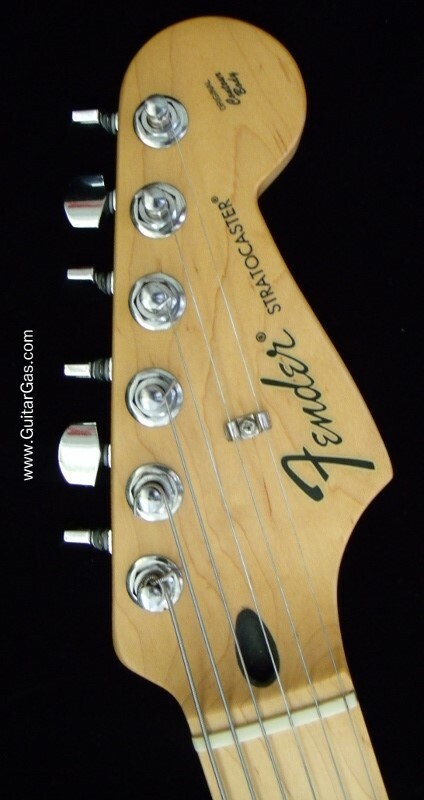 The necks were resourced from all Fender divisions to meet demands. Correct logo but again TRA at body end again possibly an AVRI neck. 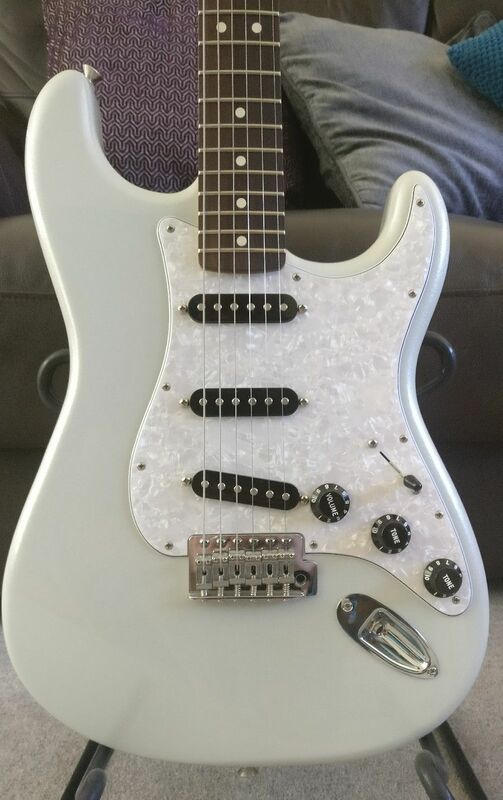 The Squier series and the Traditional are the same guitar the name was changed in 1996 but nothing else. 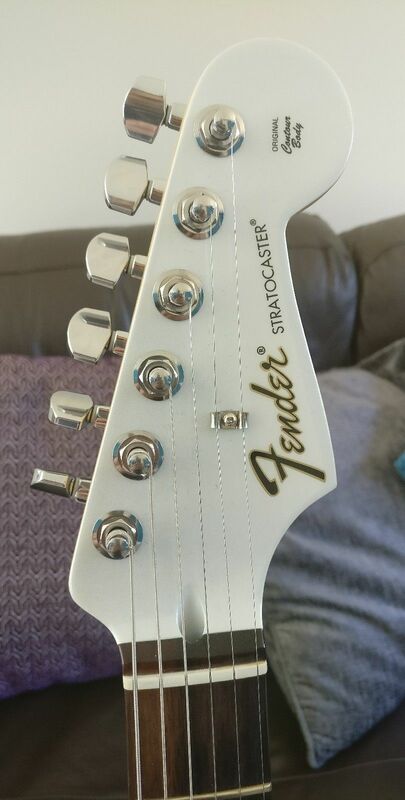 They are a cheaper guitar than the Standard model having cheaper components fitted, such as the Trapezoid tuners. 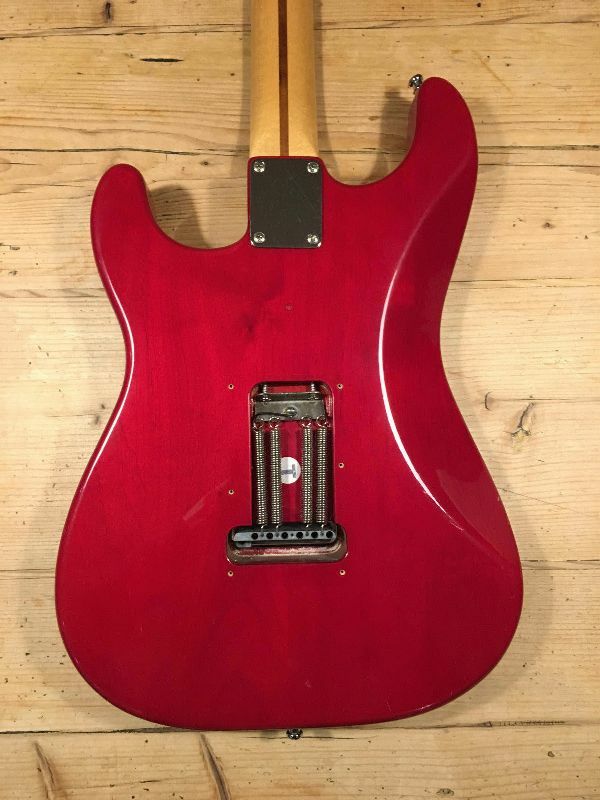 The left handed version was only available with a Rosewood board and wasn't available in Torino Red. 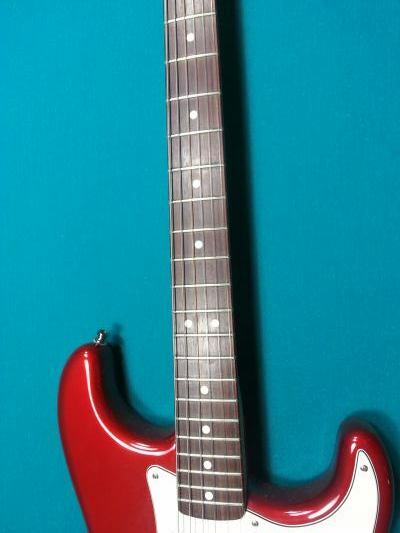 In 1997 they produced a limited edition of Hank Marvin signature stratocasters in Fiesta Red. 300 units were produced of what was just a different coloured traditional with a signature and only available with a Maple board. 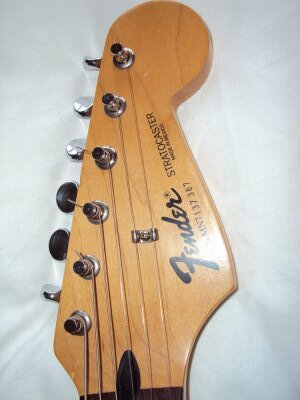 Traditional series headstock and a Squier series headstock. I have shown what colours were available at different times for some of these guitars if you see one in other colours it doesn't mean it isn't genuine, there are lots of FSRs and short runs of colours which never appear in catalogues.